Noah & The Whale - "Heart of Nowhere"
I absolutely loved their last album, but this one took a little while to get under my skin. The two albums sound very similar, and I wouldn't be surprised to learn that many of these songs were actually left-overs from the same recording sessions. It's only 35 minutes long, though. Is it me, or is that so short that it's actively taking the piss? Not every album needs to be pushing seventy minutes, for sure, but surely another song or two here would help the listener feel like they were getting a bit of a fairer deal? It's not exactly as though this is all killer and no filler, either. It's good, but it's not AMAZING. They also remain a band that, whenever I see them, I want to punch them all in the face because they all look so eminently puncheable. All of them. Even the guitarist who looks like he's wandered in from another band by mistake. Especially the guy with the violin though. From the album of Nick Drake covers that I bought a little while ago. I think Nick Drake is on my mind this week because I came back to my desk and some of my colleagues asked if I had heard of him. Apparently one of them had accidentally started their iPod playing without the headphones on, and no one else had any idea who Nick Drake was. Well, I did, of course. This isn't actually one of the songs that I'm most familiar with, and perhaps for that reason - as well as the excellence of Hitchcock's cover - draw me to this song more than to some of the other ones. He was a bloody talented musician, wasn't he? Tina Dico - "Where Do You Go To Disappear"
I like Tina Dico. I know she's massive in her native Denmark, but I have almost no idea how much success she gets over here. Or, indeed, anywhere else in the world. Admittedly, I don't follow these things very closely, but I seem to find out about her releases almost accidentally. This one was no exception. Even after I bought it some time ago, it sort of wriggled it's way out of sight and wasn't pushing itself forward for my attention. I rather think that she is pretty low key. She definitely rewards a good listen though, and this album is no exception. As with her other records, this one is uniformly excellent. Contemplative. I really like her. I'm pretty sure you would too. Apparently he wasn't all that great at Glastonbury this year, but I'm still sorry that I wasn't able to make my way up to the Park stage to see him play. Easily the most compelling musical documentary I have seen in years. Well, perhaps apart from the one about Harry Belafonte. Certainly in the top 2, anyway. This song in particular is spell-binding. I have no idea if Rodriguez was an addict himself back in the day, but this is a pretty convincing picture of a junkie looking for his next fix. He's not really hiding behind obscure metaphors here, is he? Great song. Amazing story. I've had Random Access Memories out again this week. The hype has subsided a little, but it's really bloody good, isn't it? It's all excellent, but this is just such a catchy tune. So good, that even Pharrell Williams manages not to really annoy me. Arrogant little twerp. Cat Power - "3, 6, 9"
I think Chan Marshall's performance at Glastonbury is getting better and better the more I think about it. I love her albums, and she's been right at the top of my list of people that I want to see live. I'd forgotten that she's crippled by stage fright, and in fact she was so shy that she could barely speak to the audience at all. Actually, it was so clear that she desperately wanted to communicate with us and every attempt to do so was utterly charming. She is also a magnificently compelling performer with some fantastically intense songs. You really have to listen at the end to catch if she really is saying what you think she is. I think she is. Band of Skulls - "Sweet Sour"
Another album that did little for me when it was first released, but has really grown on me over time. Actually, it was seeing the band at the Rescue Rooms a few months ago that tipped the balance for me. Suddenly all those songs that were a touch disappointing after their really good debut really made sense. That's sometimes the way though, isn't it? Music would be pretty boring and shallow if your first impression of something was always the right one. I think it's sometimes the albums that you have to work at that really stick with you. Vampire Weekend - "Diane Young" / "Unbelievers"
Loved the first album and was mightily disappointed by the follow up. Would Vampire Weekend be one of those bands who would slowly fade away after an absolutely stunning debut? Well, on the evidence of this record, no. In fact, I would go so far as to say that this one is growing on me so fast that it's nearly caught up with their wonderful debut album. It might well be a better record, actually, because the band's sound has so obviously grown. I wasn't a fan of all the vocal effects at first, but ultimately the sheer joy of this record can't be suppressed. Proper songwriters, I think and these are both really excellent, interesting songs. I had to leave their set early at Glastonbury to make my way up to the Park, but from what I heard, they were pretty good there too. This album really is getting better with every listen. 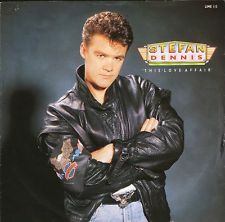 Stefan Dennis - "Don't It Make You Feel Good?" Oh come on. Do I really need a reason for this? Just look at him! The ultimate bad boy performing the ultimate pop song. The Killers - "Smile Like You Mean It"
I like the Killers. They're a very good band who have done a lot of really excellent songs.... but they're not a band I love. I don't really know why. There's just something about their music that just doesn't quite click with me. Sure, songs like "Mr Brightside" and "When You Were Young" are up there with the very best, but something doesn't stack up for me. I'm sure they won't be too bothered by that revelation, and it's definitely me and not them.... but that's the way it is. I'm not actually too sure why this song is in my head, but once it was there, it was certainly a fearfully effective earworm. Mainly that keyboard riff woooo-oooooh-ooooooo-oooo woooo-oooooh-oooooo-ooooo-ooooo-oooo. You know the one, right? Right. That's another week done. Done, done and onto the next one. Have a good one, y'all.